Hospitality Finder is the fastest-growing independent hospitality company in the UK, providing exclusive VIP packages at leading sports and entertainment venues across the world. We are proud to be official hospitality suppliers to major British sporting events including Wimbledon, The Six Nations, The FA Cup Final and Cheltenham Festival - and also offer VIP access to international events like the French Open tennis and golf’s US Masters. As well as our sporting showpieces, we also provide superb hospitality packages for top music events, festivals, theatre shows and cultural occasions. Launched in 2004 and based in Maidstone, Kent, Hospitality Finder now employs more than 30 members of staff. Our growing team boasts decades of experience in the hospitality field, and as the business expands, so does our list of official hospitality events - with new venues, partnerships and packages being added all the time. With such a wide spectrum of events and some of the most exclusive VIP experiences on the market, it’s no wonder clients come back to us year after year for all their hospitality needs. 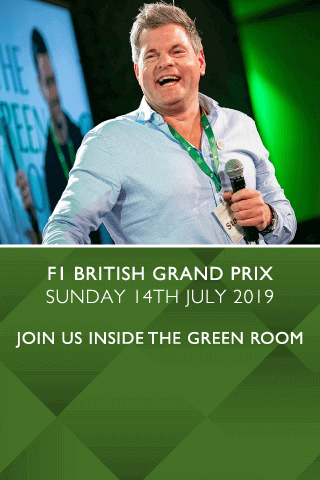 Keith Prowse, the UK’s leading hospitality provider have entered into a strategic partnership with Hospitality Finder, owners of the renowned Green Room brand. The relationship will expand each other’s portfolios, offering a wider range of products and services to respective customer bases. The two organizations share key attributes of quality, innovation, customer service and the relationship will offer both access to a wider portfolio of first-class events. The Green Room will return to Twickenham on Saturday 24 November and packages are available for purchase on both websites. With immediate effect, Hospitality Finder will carry the visual identifier, Good For Rugby mark which confirms they are a trusted and authentic source of hospitality at Twickenham Stadium. Keith Prowse and Hospitality Finder guarantee an authentic experience at every venue, for every event. "Keith Prowse have a fantastic reputation for quality of product and service. Strengthening the already established relationship between our companies, through this exciting partnership, can only present as an enhancement in the range and experience on offer to all of our clients." As official suppliers to major venues and events around the world, you can enjoy full peace of mind that our hospitality tickets and VIP packages are very much the real deal. Relax, safe in the knowledge that your booking is secured with a genuine event partner. We constantly strive to ensure that our hospitality packages are of exceptional quality, and with a TrustPilot rating of 5 stars, we’re definitely doing something right. Check out some of our many online reviews here - or feel free to ask us for references from clients who have visited a particular event before. Available at select sports events, The Green Room is our exclusive hospitality suite that gives you the chance to mingle with huge stars of sport and entertainment. Rub shoulders with the likes of England Rugby captain Lawrence Dallaglio and 20-time champion jockey AP McCoy, as they guide you through the day’s action. From football finals to flower shows, few hospitality providers can match our incredible array of events. Not only do we provide a comprehensive calendar, we also offer multiple hospitality options for each occasion - so you’ll always be able to find the perfect package, whatever your taste or budget. Want to put your own personal twist on one of our hospitality experiences? Be our guest. We’re always happy to listen to your special requests and requirements, and we’ll do our very best to make the arrangements possible. Even when you’re splashing out on special experiences, it’s still important to get a good price - and here at Hospitality Finder, we aim to bring you the VIP life for less. We offer the option to book with a credit card too, affording you the peace of mind that your booking is protected.